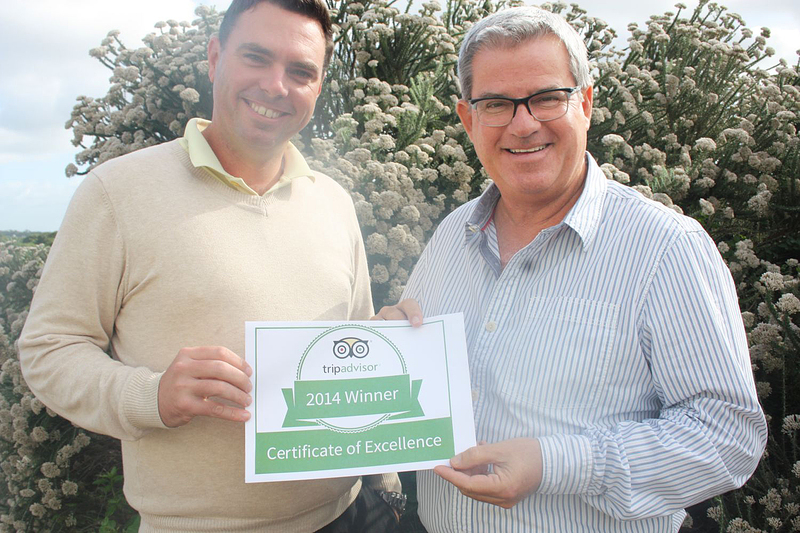 St Francis Links Golf Estate has received a TripAdvisor® Certificate of Excellence award, the five-star St Francis Bay estate announced today. A delighted Jeff Clause, CEO of this Jack Nicklaus designed golf estate, says: “Winning the TripAdvisor Certificate of Excellence is a true source of pride for the entire team at St Francis Links . “We thank all of our past guests who took the time to complete a review on TripAdvisor. Marc Charron, President of TripAdvisor for Business, said TripAdvisor is pleased to honour exceptional hospitality businesses for consistent excellence. “The Certificate of Excellence award gives top performing establishments around the world the recognition they deserve, based on feedback from those who matter most – their customers. “From Australia to Zimbabwe, we want to applaud exceptional hospitality businesses for offering TripAdvisor travellers a great customer experience,” Charron said. The TripAdvisor accolade, which honours hospitality excellence, is given only to establishments that consistently achieve outstanding traveller reviews on TripAdvisor, and is extended to qualifying businesses worldwide. Establishments awarded the Certificate of Excellence are located all over the world and represent the upper echelon of businesses listed on the website.